Providing the highest quality dental care to families and individuals in Newport Beach since 1979, F. Anthony Rich DDS will keep your smile bright and your teeth healthy. Whether you need a routine check up, cosmetic dentistry, or a complex dental procedure, Dr. Frank Anthony Rich will brighten your smile applying the latest technology with his friendly, professional approach. With state-of-the-art dental facilities featuring the newest equipment in general and cosmetic dentistry, Dr. Rich provides expert care in numerous dental procedures. And the highly trained staff will make sure your visit will be prompt, comfortable and relaxing. Dr. F. Anthony Rich’s techniques, and his patient’s routine hygene and regular dental exams, have helped his patients retain their natural teeth and minimize expensive, complex and invasive dental procedures. Dr. Rich also understands the relationship with his patients is based on trust so he strives to develop a personal relationship with each patient. Whether young, old or somewhere in between, you will appreciate his professional yet personal manner. Call Dr. F. Anthony, Dentist in Newport Beach, for an appointment today and he will create a beautiful smile you will share for a lifetime. A California native, he grew up in Southern California and fulfilled his life long dream of being a dentist. Today, as a practicing Dentist in Newport Beach CA, Dr. Rich’s mission is to improve the overall oral health of his patients using the highest standards of professional dental care. He will often tell you that a healthy mouth is basic to your overall health and that maintaining your oral health will support healthy systems throughout your body. Dr. Rich’s dental skills and artistic abilities have improved the smiles and promoted the oral health of over one thousand patients. 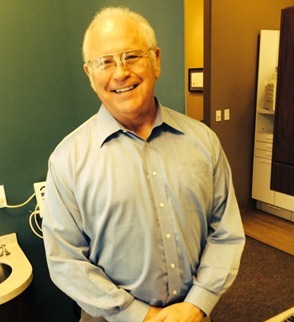 He takes pride in quality dental care, is committed to prevention and practices a conservative approach to dentistry. Dr. Rich personally provides quality family and general dental care as a dentist that Newport Beach Ca has trusted since 1997. Dr. Rich has provided services related to the general maintenance of oral hygiene and tooth health to patients as young as 18 months old to as old as 96. Dr. Rich considers regularly scheduled dental visits to be the first level of defense against dental problems. Like the American Dental Association (ADA), he recommends that you visit for a checkup two times each year. At these visits, he and his staff will provide dental examinations, routine or deep cleanings and scheduled X-rays to eliminate plaque buildup and prevent tooth decay. Dr. Rich’s patients have found these dental checkups can detect and prevent problems long before the onset of symptoms may appear. If structural damage to your teeth as a result of tooth decay, wear or trauma exists, Dr. Rich will provide dental fillings to repair damage to the structure of a tooth or teeth. What Are the Qualities You’ll Want to See in Your Dentist and Their Practice? Providing the highest quality dental care to families and individuals in Newport Beach since 1979, F. Anthony Rich DDS will keep your smile bright and your teeth healthy. Copyright © 2016 F. Anthony Rich, MS, DDS. All Rights Reserved.